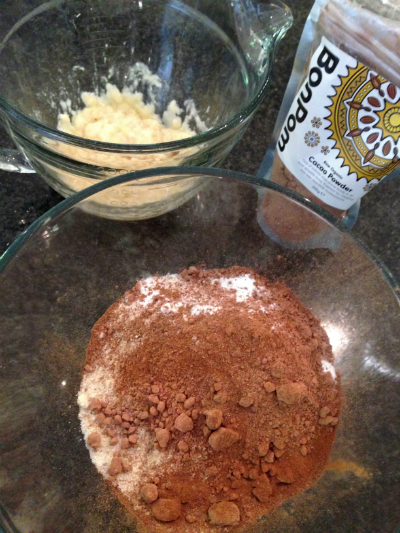 Inspired by a recipe from glugleglutenfree.com find her banana and chocolate muffin recipe here. 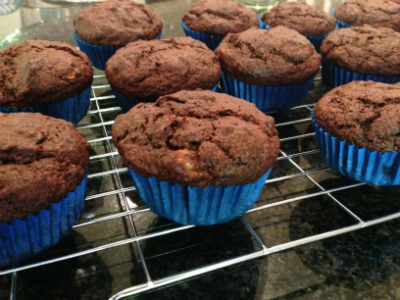 I have made some Chocolate and banana muffins. 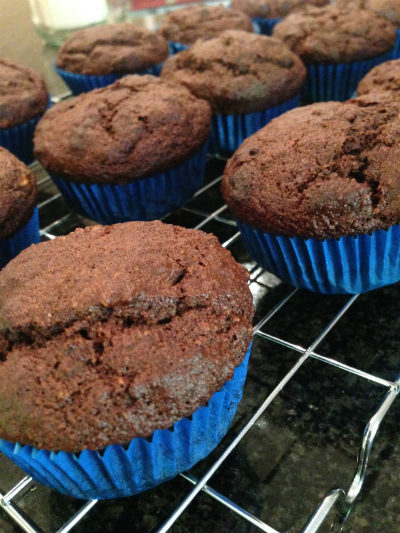 These muffins are grain free, made using ground almonds and cacao. 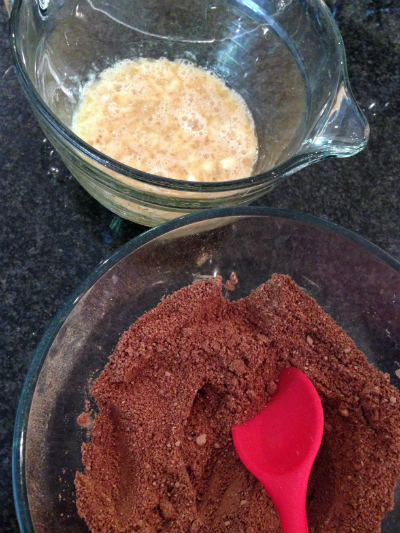 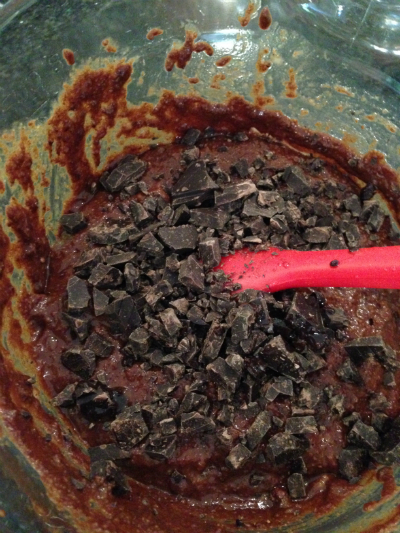 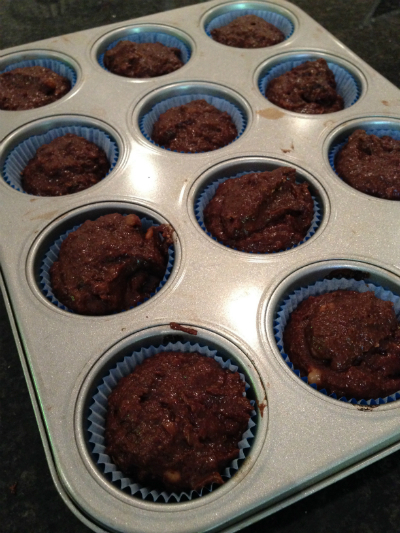 I also added some 85% gluten free dark chocolate which melted inside the muffins, yum! 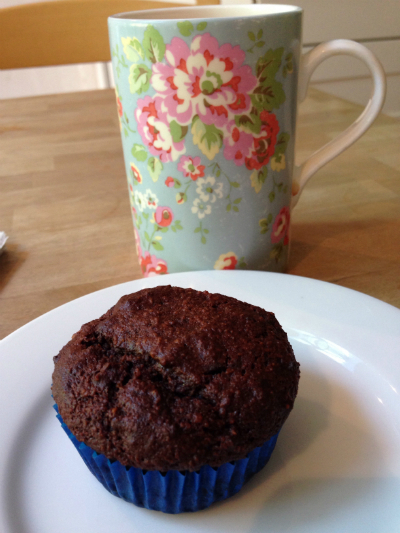 The muffins are definitely a dark chocolate flavour and are low sugar, but are perfect for a treat if you are avoiding too much sugar.